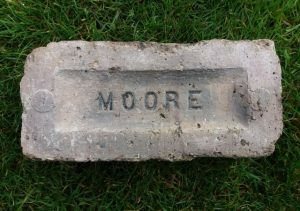 12/12/1924 – Motherwell Times – A.G. Moore & Co Ltd beg to initimate that they intend to commence making composition bricks at their Blantyreferme Brickworks, Uddingston in December and shall be please to receive enquiries. 142 St Vincent Street, Glasgow. 23/07/1926 – Motherwell Times – Reference to Mr John Gibb being manager of the Blantyre Ferme Brick Works ( Previously manager of the Carfin Brick Works). 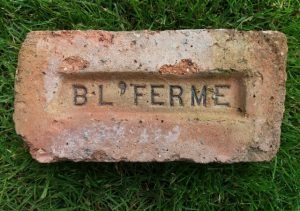 Below – 1934 – Blantyreferme Brickworks. 1936 – 1937 – Moore, A. G., & Co., Ltd., coalmasters, 142 St. Vincent St. C.2 ; Blantyreferme Collieries, Uddingston and Newton ; Shieldmains Collieries, Drongan, by Ayr ; Dalkeith Collieries, near Edinburgh; Blantyreferme Brickworks, Uddingston. 25/11/1938 – The Scotsman – Workman who was suffocated in a hopper – After inquiring into the death of a young brickworker who was suffocated in several feet of blaes in a large hopper, a jury at a Hamilton Fatal Accident Inquiry yesterday delivered a formal verdict , and added a rider that if possible, means should be devised to make it unnecessary for brickworkers to enter hoppers in the course of their employment. The inquiry was into the death of Peter McGuire McDermott ( 21 ) , of 169 Stonefield Road , Blantyre and the accident occurred at the brickworks at Blantyreferme Colliery , Cambuslang on October 10th. John Gibb , manager of the brickwork , said this was the first accident of its kind there. The accident was a mystery and it looked as if McDermott had gone into the hopper and slipped down into the blaes . Precautions had since been taken to prevent a recurrence of this type of accident, and safety belts had been introduced. In answer to Sheriff Brown, witness admitted that employees had to go into the hopper in the course of their duties. His Lordship commented that this was a dangerous operation, and suggested to the jury the rider already given. 12/05/1939 – Daily Record – Returning to Work – The 400 men employed at Newton Colliery, Cambuslang owned by Messr’s Moore and Co, who were on strike yesterday owing to a dispute concerning the re-instatement of 2 employees, are returning to work today. It had been alleged that the 2 men had been constantly ignored by the management when it came to re-instating the men on the waiting list in jobs in the colliery, despite the fact that they held a priority claim over others who had secured employment. 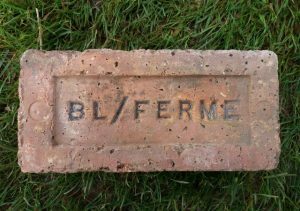 The 48 hours notice given by the workers to the management at the Blantyreferme Brick Works of Messr’s A G Moore and Co following a dispute on Wednesday terminates at 5 o’clock tonight and it is almost certain that the 120 workers will again come out on strike. 01/01/1955 – Airdrie and Coatbridge Advertiser – …. Among the Ancillary Works in Central West Area the manufacture of bricks from pit redd was carried on at a high rate of production and with a steady demand for the product. 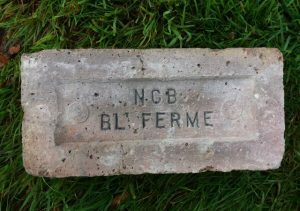 A start has been made with the erection of a new brickworks at Blantyreferme for the production of facing bricks. The new works is expected to give employment to 50 men. Briquettes also enjoyed a steady demand throughout the whole year. This is a feature peculiar to Central West Area where the demand throughout the summer continues to absorb the full capacity of the works. 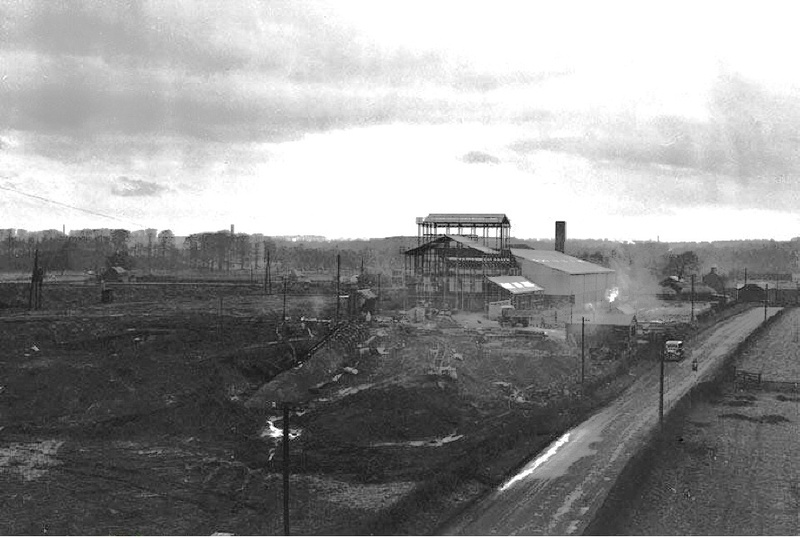 1955 – Pictured here in 1955, courtesy of Alex Rochead are the large machines that were located inside the Haughhead (Blantyreferme) Brickworks. I’ve been looking into the machinery, what it was used for and whom it came from. In these photos, the machines are relatively new. The large engineering machinery was located in a brick built part of the building to crush stone, form the bricks and transport the clay. This was state of the art mechanisation, removing the need to hand make bricks. Machinery was procured from Inglis and also from Thomas Fawcett of Leeds. These photos of the kilns and the machinery are held in the National Library of Scotland. It is thought the brickworks existed until 1974, and demolished shortly after. In 1972 Bradley & Craven, amalgamated with a rival Leeds company, Thomas C. Fawcett, forming Craven Fawcett Limited, which existed up until 2002, when it was dissolved. Paul Veverka and his Blantyre Project has detailed information on the following Blantyre brickworks and also rectifies a little of my confusion surrounding their locations! Reproduced by kind permission. A few mysteries surround these next 2 photos, although some of the information can be identified. The dates are unknown but guessed as being the 1950s. The location IS known though. Pictured (left) are industrial works to the left of Blantyre Ferme Road. The landscape photo was taken from the vantage point of the railway bridge over the Blantyre Ferme Road, just before you exit Blantyre Parish to Uddingston. The road is therefore Blantyre Ferme Road with East Haughhead Farm in the background to the right. I believe the straight lines in the distance to be the curve of the river. The photos were once given to Alex Rochead by the late Blantyre historian, Jimmy Cornfield who told Alex they were of the area between the railway bridge and East Haughhead Farm. Canmore website recorded that Blantyre Ferme Colliery 3 was also known as Newton Colliery, which is news to me. I’d never encountered Newton being called Blantyreferme 3 before. The picture (below) is NOT Blantyre ferme 1 and 2 or Blantyreferme 1 brickworks, which was before the railway bridge, more closer to Blantyreferme. Nor is it Haughhead Colliery (which was also in Blantyre and missing from most historical accounts). The likelyhood is that the buildings were a later extension of Haughhead colliery, associated brickworks or a drift mine (secondary) of sorts. In the foreground of the photo, we see underground access. A more detailed photo of the mine entrance is available here. According to Canmore, a nearby drift mine supplied the brickworks and operated from 1924 to 1974, so here’s hoping people will remember this building and mine, although I have to say much of it has been masked by trees along the left of Blantyreferme Road. Haughhead Brickworks were constructed around 1955. 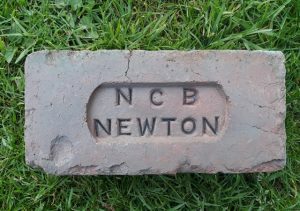 They were also known as Newton brickworks by some people as well as the name, Blantyre Ferme Brickworks. 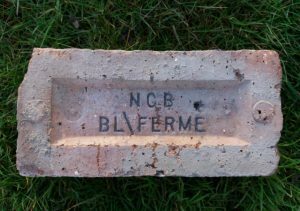 This may have confused visitors and locals, as there was a Newton and Blantyre Ferme brickworks not far from this location, albeit in different but nearby areas. 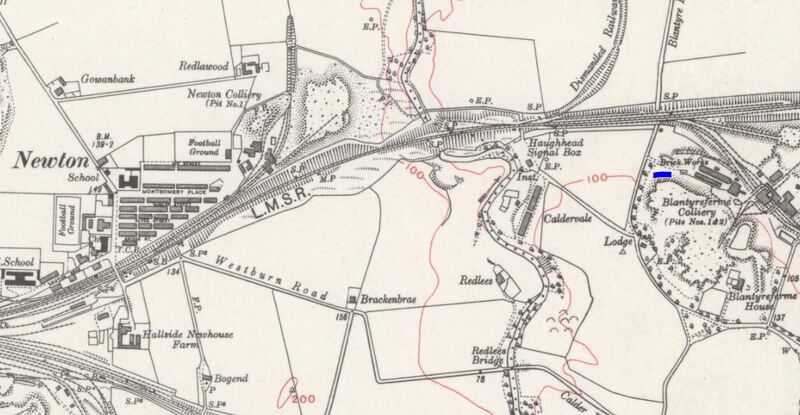 Haughhead brickworks were certainly located in Blantyre Parish. They comprised of a massive iron framed shed building clad in asbestos sheeting which was prominently situated on the western side of Blantyre Ferme Road, to the north of the railway line, just south of East Haughhead Farm. 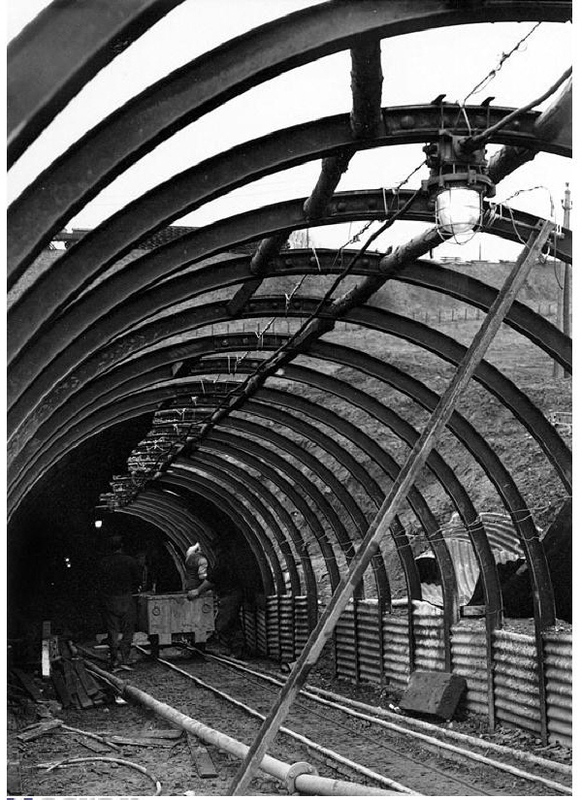 Near the shed, which accommodated the kilns, were conveyor belts leading from a nearby drift mine, making the whole process as efficient as possible. The kilns were constructed in 1955, and built from “Preston Orange” bricks, perhaps chosen due to their suitable properties for kiln construction. The kilns were arched shaped and there were around 2-dozen, lining the length of either side of the building. The internal open plan layout was subdivided into working areas to serve each kiln. 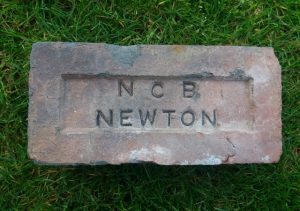 It is thought the brickworks at this location, stamped their bricks with the word “Newton.” It is thought the brickworks existed until 1974, and demolished shortly after. With sincere thanks to Alex Rochead, I’m able to show you the kilns of Haughhead (Blantyreferme) Brickworks being constructed in 1955, in these remarkably clear interior photos. Found Glenboig village. Newton Brickworks, Blantyre, Lanarkshire. . . . .
Found in Paisley. Newton Brickworks, Blantyre, Lanarkshire. . . . .
Found by Gordon Wyle in Clackmanannshire. Newton Brickworks, Blantyre, Lanarkshire. . . . .
Found by Eddie McLean in Glasgow This was well spotted in that the ‘slash’ is backward rather than forward. Blantyreferme Brick Works, near Uddingston. . . .
Found at Kilwinning. Blantyreferme Brick Works, near Uddingston. . . . .
Found in Paisley by SP. Blantyreferme Brick Works, near Uddingston. . . . . 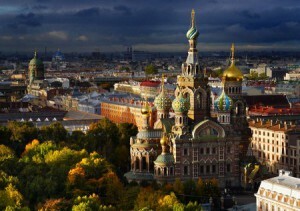 The following article is based on the Scottish bricks found by Vladimir Smirnov in and around his home in Saint Petersburg, Russia. 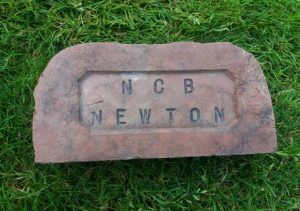 Vladimir has managed to collect a fascinating collection of Scottish bricks and bizarrely, a good few of them appear to have never surfaced, as yet, in their Country of origin. . . . …. Found Paisley Blantyreferme Brick Works, near Uddingston. 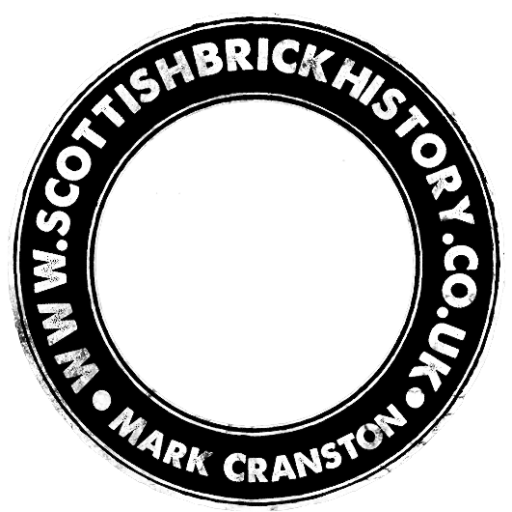 . . . . Below – The same stamp on a brick found near High Blantyre. Note the reversed ‘N’ and apostrophe. .
Found Paisley. A.G. Moore & Co Ltd, Blantyreferme Brickworks, Uddingston. . . . .